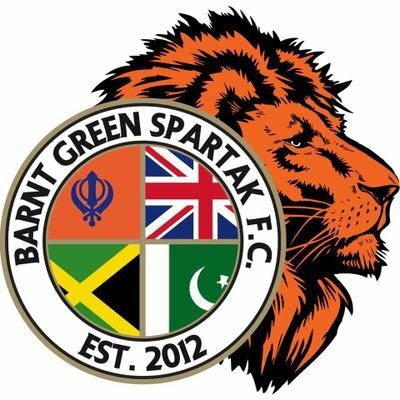 BANRT Green Spartak manager GJ Singh says he’s delighted by the positive start his side has made to the new Midland League Division Two season. Spartak got their campaign off to a flier on Saturday with a comfortable 5-2 victory over Sutton United thanks to a brace from Reuel Prescodd and one apiece from Ryan Froggatt, Stefan Gordon and Kevon Henry. Singh’s side were in action once again on Wednesday night when they were held to a 1-1 draw by Hampton with Marcus Malcolm netting. Spartak sit third in the table after two games on four points and a face a Redditch Borough outfit on Saturday who have also started the new season in similar fashion. Borough won their opening game against Paget Rangers 3-2 before being held to a 2-2 draw at Earlswood Town on Tuesday night. Ahead of this weekend’s clash Singh is confident his players have what it takes to continue on from their good start. He said: “I cannot complain with how we have started but it was a little bit disappointing to not get the win on Wednesday. “We were dominating the game and looked really good but the lads are disappointed. “However, our performance against Sutton was really good and it was probably the most comfortable victory we have ever had over them.